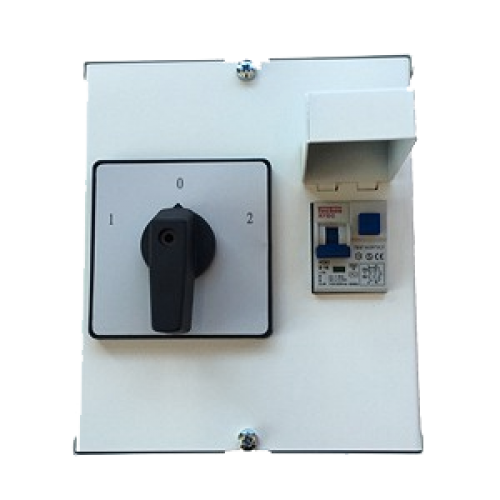 This changeover switch enables the SolaX EPS (Emergency Power Supply) Functionality. The E version Hybrid battery storage inverter can be installed with this changeover switch that gives the end user complete control. When grid power is lost, the inverter goes into EPS mode ready for the customer to switch over once they have prioritised which essential devices and appliances they wish to power. This manual control is essential as it ensures that non-essential heavy load devices can be switched off ensuring that users get the most of the stored energy at a time when they need it most.